WASHINGTON — The European Space Agency has awarded a contract to a group that includes Europe’s largest launch services provider and a former Google Lunar X Prize competitor to study a concept for a mission to mine lunar regolith. ArianeGroup announced Jan. 21 that it has received a one-year contract from ESA to study a lunar lander mission proposal that would launch by 2025. The purpose of the mission would be to demonstrate the ability to mine lunar regolith and extract resources, such as oxygen, from it. The proposed mission would be launched on an Ariane 64, a version of the Ariane 6 with four strap-on boosters. 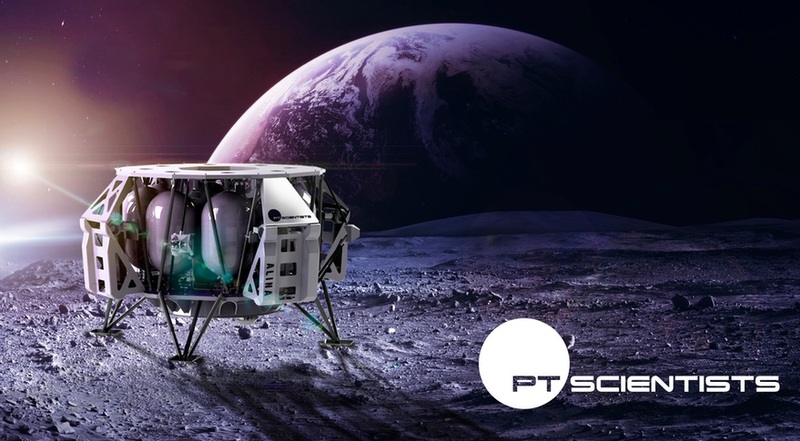 PTScientists, a German company that started as a team in the now-defunct Google Lunar X Prize competition for privately developed lunar landers, is responsible for the spacecraft. Belgian company Space Applications Services will provide ground control and communications services. The study contract has a value of several hundred thousand euros, ArianeGroup spokesman Julien Watelet said Jan. 22. The study is intended to study the feasibility of such a mission, including whether it could be done using a more commercial approach. The study will be wrapping up around the time that ESA holds its next ministerial meeting, called Space19+, in November in Seville, Spain. ESA will likely ask ministers at that time to fund work on a lunar exploration campaign that could include the proposed lander. “The use of space resources could be a key to sustainable lunar exploration and this study is part of ESA’s comprehensive plan to make Europe a partner in global exploration in the next decade, a plan we will put to our ministers for decision later this year at the Space19+ Conference,” said David Parker, director of human and robotic exploration at ESA, in a statement. The mission, if it does go forward, won’t be the first lunar lander that PTScientists develops. The company has continued work on its first lunar lander even after failing to make the cut as one of five finalists in the Google Lunar X Prize competition in early 2017 after the X Prize Foundation, which administered the prize, concluded it did not have a valid launch contract. The overall competition ended in early 2018 when none of the finalists were ready to launch by the competition’s March 2018 deadline. In a November conference speech, Torsten Kriening, chief commercial officer of PTScientists, said that lunar lander mission, which has backing from corporate sponsors that include Audi, Vodafone and Red Bull Media House, a subsidiary of beverage company Red Bull, could launch by late 2019. The lander is intended to go to the Taurus-Littrow region of the moon, in the vicinity of the Apollo 17 landing site, carrying two rovers.